A little bird with a BIG dream—anxious to fly and be free. Against his Mama’s warnings that he’s “not yet ready to fly“, Benjamin takes a leap of faith and suddenly finds himself free-falling. What is Benjamin Birdie to do? 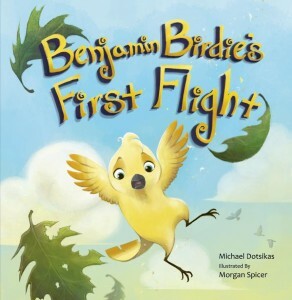 Spread your wings and embark with Benjamin Birdie on an extraordinary journey of discovery, determination and teamwork as he strives to get back to his nest.